The Milwaukee Regional Center was established in 2007, when it was approved by the Department of Homeland Security to sponsor investment EB-5 in Southeast Wisconsin. The program offers foreign investors and their families the opportunity to apply for green cards in exchange for qualified investments in qualified local projects. Investors must be approved by the U.S. Citizenship and Immigration Services (“USCIS”) in order to obtain conditional green cards and permanent green cards. To qualify for a green card, a qualified foreign investor must invest a minimum of U.S. $1 million (or U.S. $500,000 in targeted employment areas) in qualified businesses that create at least 10 full-time permanent jobs for U.S. workers. Provided that the investment is maintained and achieves the job requirements of the program, a foreign investor may apply for a permanent green card two years after he or she obtains a conditional green card. Sponsored by the MMAC, the Milwaukee Regional Center includes the counties of Kenosha, Milwaukee, Ozaukee, Racine, Washington, Waukesha and Walworth in Wisconsin; Cook, DuPage, Lake and Will counties in Illinois; and Lake county in Indiana. The Milwaukee Regional Center has received IIUSA's I-829 Award for 4th consecutive years. The award honors those regional centers whose clients I-829 petitions have been approved by U.S. Citizenship and Immigration Services (USCIS). 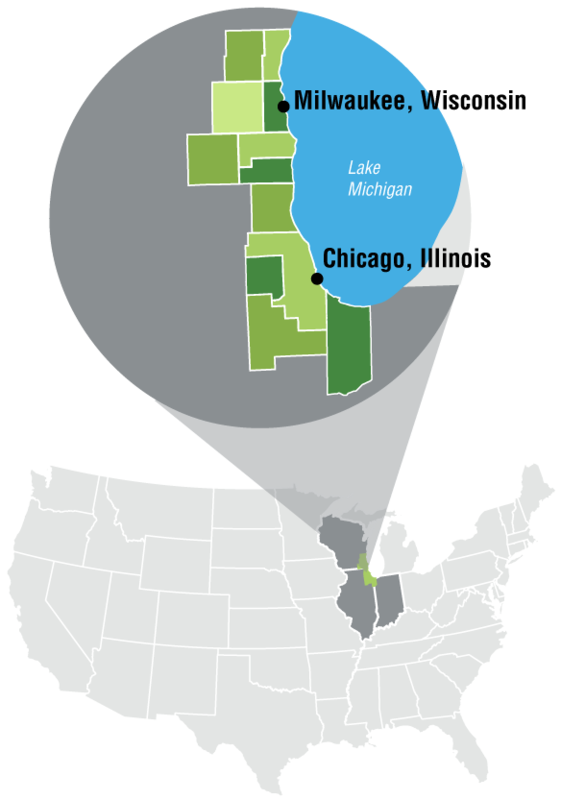 In 2017, the Milwaukee Regional Center expanded beyond the Wisconsin counties of Kenosha, Milwaukee, Ozaukee, Racine, Walworth, Washington and Waukesha to include the Illinois counties of Cook, DuPage, Lake and Will as well as Indiana's Lake county. Countless amenities including a state-of-the-art fitness center, two atriums, a movie theatre and many study/lounge spaces. 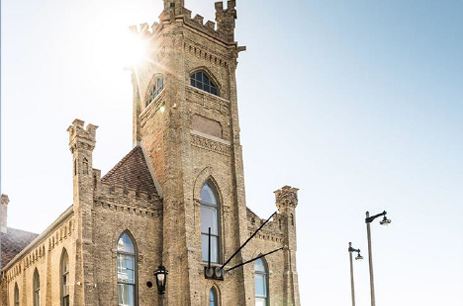 A full-service restaurant/taproom on the second floor in the former church sanctuary space. 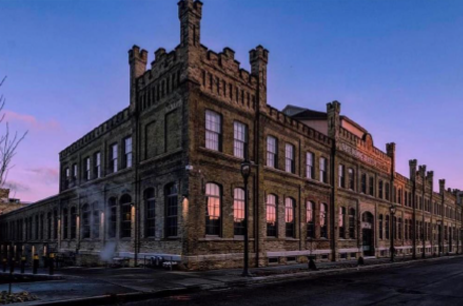 Geneva Ridge OIF LP involves a limited partnership of 37 EB-5 investors who contributed $17.5M out of more than $50M which was required to modernize and save two resorts in Walworth County, Wisconsin, which is located between Chicago and Milwaukee. 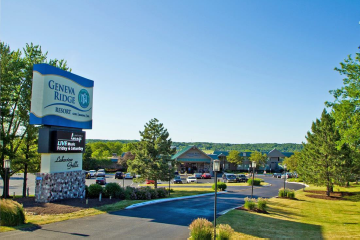 Geneva Ridge, The Lodge at Geneva Ridge and Geneva National Golf Club, received more than $12M to fund rehabilitation of the hotel and turn it into a modern, state-of-the art destination. OIF also lent $5M to the nearby Lake Lawn Resort, which at the time had been completely closed. Geneva Ridge OIF2 LP project is a senior living facility in downtown Milwaukee, Wisconsin. This diverse partnership of EB-5 investors hailing from China, Bangladesh, India, the United Arab Emirates, Trinidad and Nigeria is contributed $9.5M as part of an over $40M project. 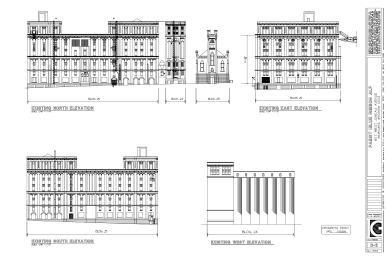 The total cost of the Pabst Brewery rehabilitation and redevelopment exceeds $100M. Construction began in early 2016 with a job creation estimate of about 230. This project is being undertaken in cooperation with Whitestone Realty Capital and is among the five “Towne Club” projects on which our group has worked with Whitestone – others include Peachtree City ILP Partners, GRAL, NFTC, and WALTC. GRAL, LP is a Towne Club development that is virtually identical to the NFTC, LP development, though GRAL is located in Walworth County, Wisconsin. GRAL is also being undertaken in cooperation with one of the original development partners in Overseas Investor Funding, LP. This $40M project will take place near the Geneva Ridge Resort. Like the other Towne Club properties as well as SWAL and SWIL, this facility will feature several different service levels so that seniors may transition to progressively enhanced care as their needs change, but all within the same facility. GRAL, LP raised $9M from 18 investors and the project will create 240 jobs and investor petitions with USCIS have been approved. Additionally funding sources include bond financing, developer equity, and new markets tax credits. The Milwaukee Regional Center is administered by the Metropolitan Milwaukee Association of Commerce Regional Center LLC (“MMAC-LLC”). 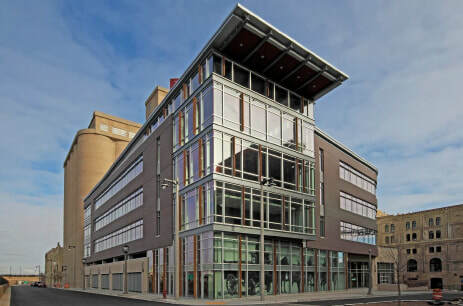 While MMAC-LLC and its affiliates (collectively, "MMACRC") generally welcome investment in the Milwaukee Regional Center area, MMACRC does not have sufficient information about the investment opportunities identified below to be able to recommend, nor does it endorse, any particular investment opportunity. MMACRC is not, by listing and providing basic information about each investment opportunity, promoting any of the investment opportunities listed.